Treloar Roses are well known for being at the forefront of new rose releases in Australia, and 2018 is no exception. Madame Anisette is a Hybrid Tea rose, with a wonderful fragrance. 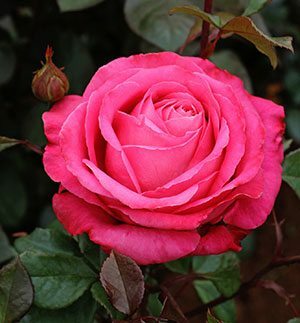 The wonderful deep pink to red flowers of Unconventional Lady will provide great colour in the garden as well a good long stemmed roses for cut flowers. Climbing Future with a soft fragrance to match the white flowers that are blushed with pink would make a beautiful addition to any garden. Fairytale Magic with its full pink blooms is a bush rose, it will reach around 90 cm in height, and again a good fragrance. 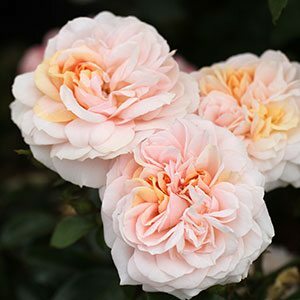 With deep green foliage to contrast the apricot pink flowers Garden Of Roses is a compact variety, excellent for smaller gardens, containers or perhaps to grow on a patio. And for something a little different, Fire Opal, white buds with a good pink blush on semi double flowers as they open. Gardeners are alway looking for something different, and new release garden plants are at the top of many wish lists. Every year we see new release plants. Some are new hybrids, while others are plants that have been around for a while. The new hybrids are of great interest, many are improved or selected forms of older plants. Others are different, the result of hybridisation and selection. Roses are a classic example with around a dozen new releases each year. Those rare and difficult to find plants are a different group. Although they are not new plants as such,they have simply not been available. This is usually due to either difficulty in propagation or a lack of demand. For 2015 – 2016 some of the new release garden plants that have impressed us include Roses and Shrubs including some Daphnes. The roses are easy to evaluate, simply brilliant flowers and perfume from leading plant breeders. The Shrubs are more difficult to evaluate, you really need to grow them for a number of years before a valid evaluation can be made. 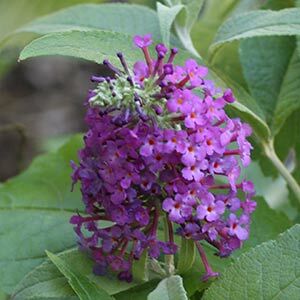 Over the past 12 months we have looked at the following new release plants. Not only new colours, but also new dwarf and semi dwarf varieties, we particularly like Frangipani India Burnt Orange, from Sacred Garden Frangipanis. Very attractive colour, great fragrance and good foliage. A number of dwarf and semi dwarf varieties well suited to growing in pots are also available. 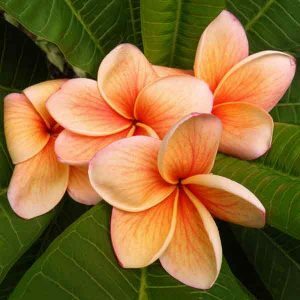 You can find out more about frangipanis on our main page. From Don Teese at Yamina Collectors Nursery. He has had this for a few years, however its still new to us. Attractive white flowers that the Rainbow Lorikeets seem to love. Don now has a collection of Iochromas in a range of colours you will not find anywhere else. Would we recommend it ? Yes, we love the Iochromas, something a little different and the white one works well for us. This the new one and it was touted as the best new plant in 50 years. Not sure about that claim, however it first six months impressed us. 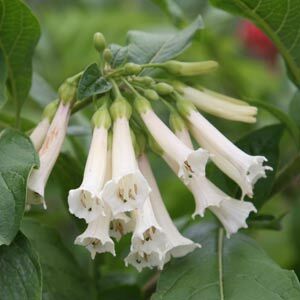 Large flowers, good fragrance and good strong growth. It has been claimed that it is the earliest for flower, sorry, in 2015 that prize went to our well established Daphne odora. 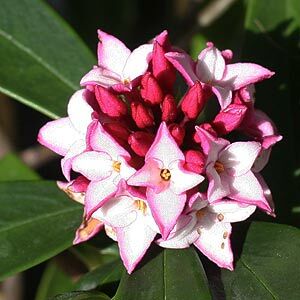 However Daphne Perfume Princess flowered later into the season. The growth habit is a little more vigorous than D.odora, this can be a good thing or a bad thing depending on your point of view. We will prune ours this year and se what happens. Would we recommend it ? Yes, in fact we were lucky enough to be given 3 plants to trial, and we will be keeping them all. These are a group of four plants, all sold as having ‘Compact Dwarf’ growth habit. we planted the purple variety and indeed it does live up to the claims. It is easier to prune this Bubbleja to less than 1m and it is suited to growing in containers. well worth a look and it comes in white, blue and a velvety red as well as the purple variety. This one we would like to give a year or two make sure it continues with its impressive form over the the first 12 months. Would we recommend it ? A provisional Yes. It needs another year to convince us fully. However at the price, give it try. New plants are selected and hybridised for a variety of reasons, including better flowers, larger, more colourful or better perfume. Better drought tolerance, this is increasingly important to many gardeners. Better growth habit. More compact, more upright or perhaps a dwarf cultivar are all examples. Miniature roses are often neglected by landscapers, however they do produce masses of flowers and are just as easy to grow as any other rose. Lilliputs are an introduction by Kordes, and ‘Mandy’ is one to look for. 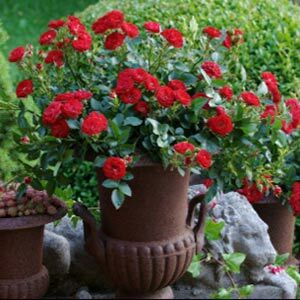 Deep red flowers, repeat blooming and on a compact bush that could be grown on any balcony or patio. Available from Treloar Roses. 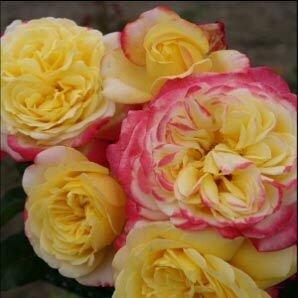 With soft pastel tones of yellow suffused with red, Jubilee is highly scented and makes an attractive addition to the rose garden. Kordes choose this one to celebrate 125 years in the rose business, so it must have something going for it. We like it as a specimen plant in the border. Available from Treloar Roses.